A yin and yang master transforms into a cat and finds herself in the arms of the handsome Qing Moyan of the Dali Temple. Ru Xiaolan (Hu Yixuan) is a young woman from the modern day. Through a series of circumstances, she travels to the ancient times as a cat. Purely by chance, she meets Qing Moyan (Xu Kaicheng) who's suffering from a poison and as they kiss, they realize that they've found the solution to each other's complications. 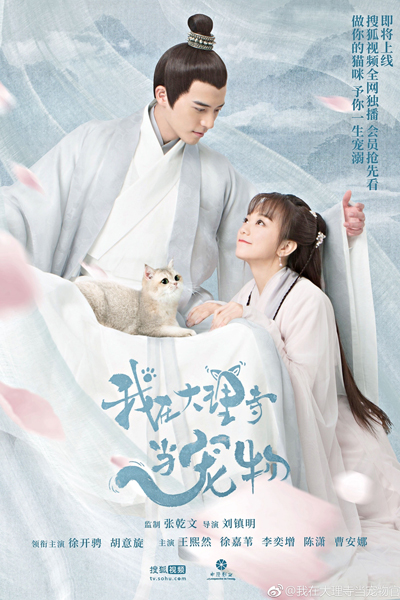 Deciding to stick together for their own gain, the two embark on a journey to find the five-colored stone that can break Xiaolan's curse and the ghost grass that can cure Moyan's affliction.